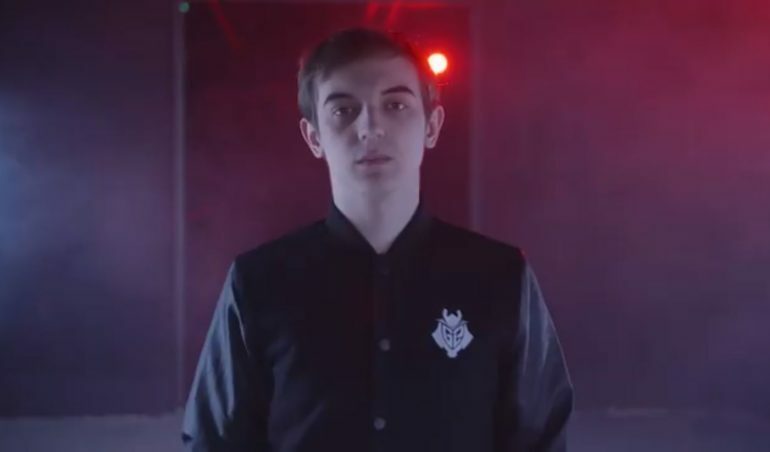 Although G2 Esports’ long time mid laner Luka “Perkz” Perković has been joking about it nonstop on Twitter, it appears the org couldn’t keep quiet about the big news any longer. The rumors are, in fact, true. Fnatic’s superstar mid laner and Worlds finalist Rasmus “Caps” Winther is joining G2 alongside Misfits support Mihael “Mikyx” Mehle, and Perkz is moving to the bot lane, according to the team’s announcement today. The acquisition, which G2 is tagging with #KINGSUNITE on Twitter, is absolutely the most significant roster move of the off-season within the EU LCS, now called the LEC, or League of Legends European Championship. Why? Because it’s the League equivalent of putting NBA stars Steph Curry and LeBron James on the same team. These were, without a doubt, the strongest mid laners in the region, with Caps up for contention as one of the best in the world. By moving them to the same team, it completely negates the leading EU LCS storyline of the 2018 season, which was always “Perkz vs. Caps, who will win this time?” It takes the most exciting player-on-player competition of the past year and abolishes it. The word “super team” will be thrown around a lot, and rightly so, as the team is stacked with these three top-tier players and Martin “Wunder” Hansen. Jungler Marcin “Jankos” Jankowski will still need to iron out some inconsistencies he displayed during 2018, but as long as he can do that, and Perkz’ transition to the bot lane isn’t too rocky, this should be one of the league’s best teams. The LEC kicks off this January.